2014 is an exciting year for 3D imaging and modelling with a multitude of software and hardware solutions coming online. Topcon Imagemaster software has become established as high-end photogrammetry solution for surveyors requiring accurate results, geo-referenced models and integration with other datasets such as LiDAR, point clouds and conventional topographic data. Topcon Imagemaster UAV builds on the highly regarded platform of Imagemaster Photo to support aerial photo datasets acquired with UAVs, drones, or quad copters. Recommended UAV / drone platforms for acquiring high resolution digital imagery for photogrammetric processing include: MAvinci, Microdrones, Gatewing, SenseFLY eBee and Microdyne, to name but a few. Along with a wide variety of solutions, there are a wide variety of deliverables. It is important to avoid ‘black box’ aerial mapping solutions that give impressive results such as 3D fly-throughs on first inspection but fall down on data coverage and accuracy upon further inspection. 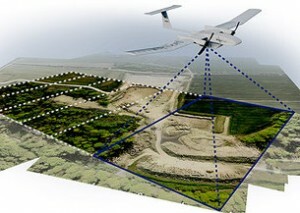 Topcon Imagemaster for UAV comes from an already established software package that has been used by surveyors, heritage organisations, research institutions and modellers to generate accurate 3D models at all scales – from archaeological finds through to ortho mosaic photographs of whole cities. This website will soon feature detailed reviews, specification and step by step guides for this software, once it is available. If you would like to see how your data can be processed using Topcon Imagemaster UAV software, please contact us to arrange an online demonstration.